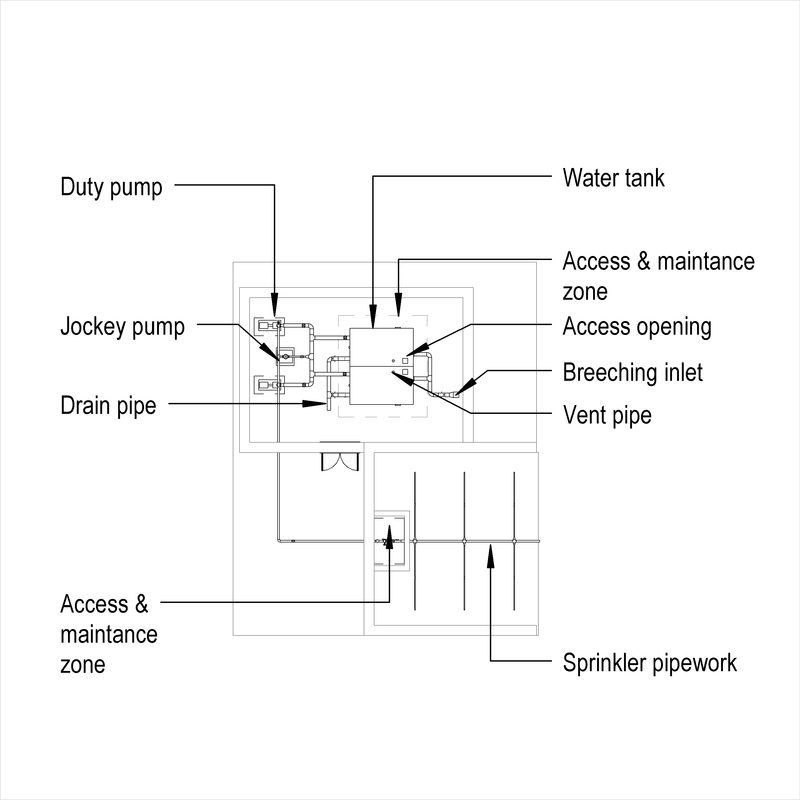 A sprinkler system typically comprises of items such as source, tanks and pumps. 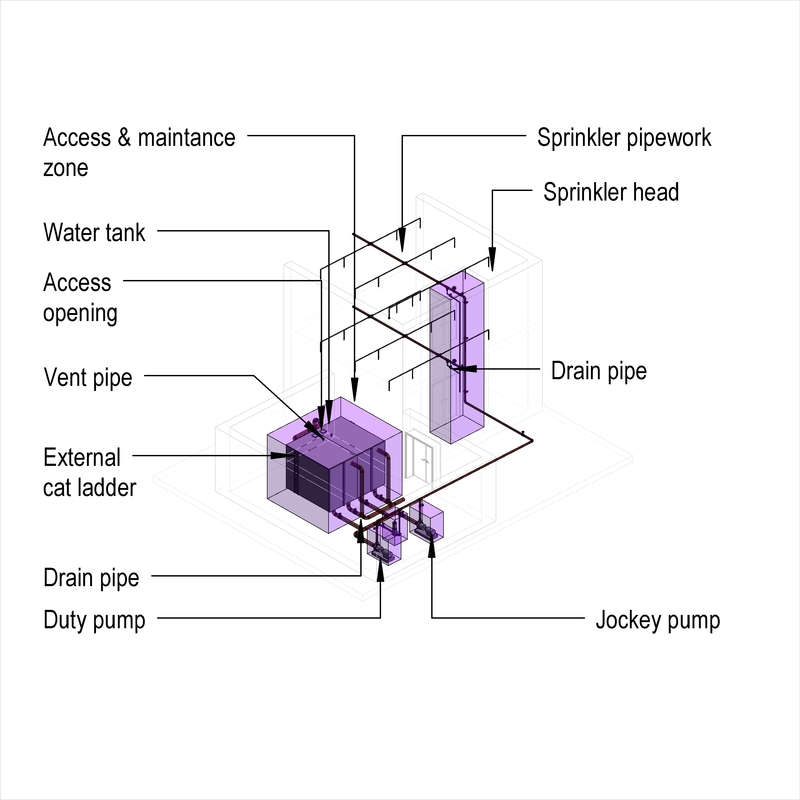 Complete this electronic spreadsheet to ensure that your Sprinkler systems product information meets the requirements of Level 2 BIM. This is important as it will enable your customers to select, specify and use your products within the BIM environment. Once you have completed this template you can host it on your own website or distribute it to your customers. Please note that we do not host completed product data templates within the BIM Toolkit. 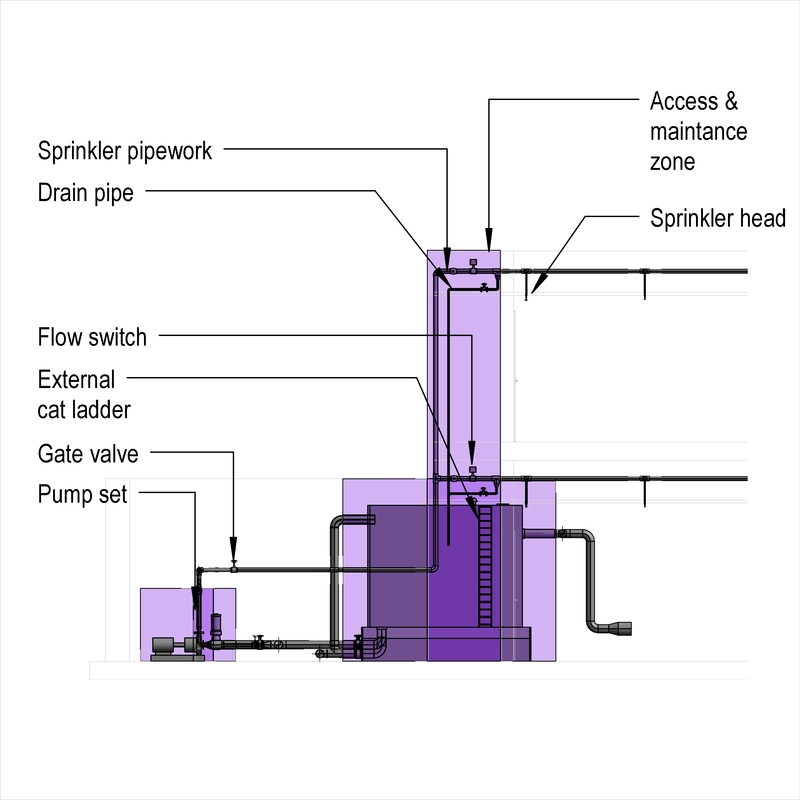 The above illustrations are for Sprinkler systems from the NBS section Sprinkler systems. This is indicative of the LOD requirements for Sprinkler systems. 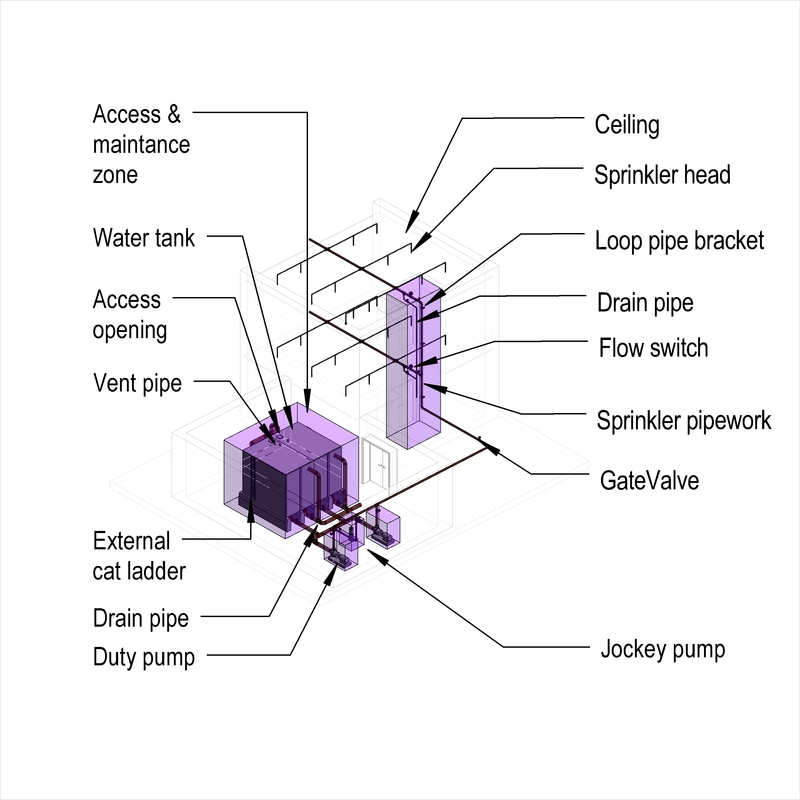 Design of commercial and industrial sprinkler systems Design and System designer. 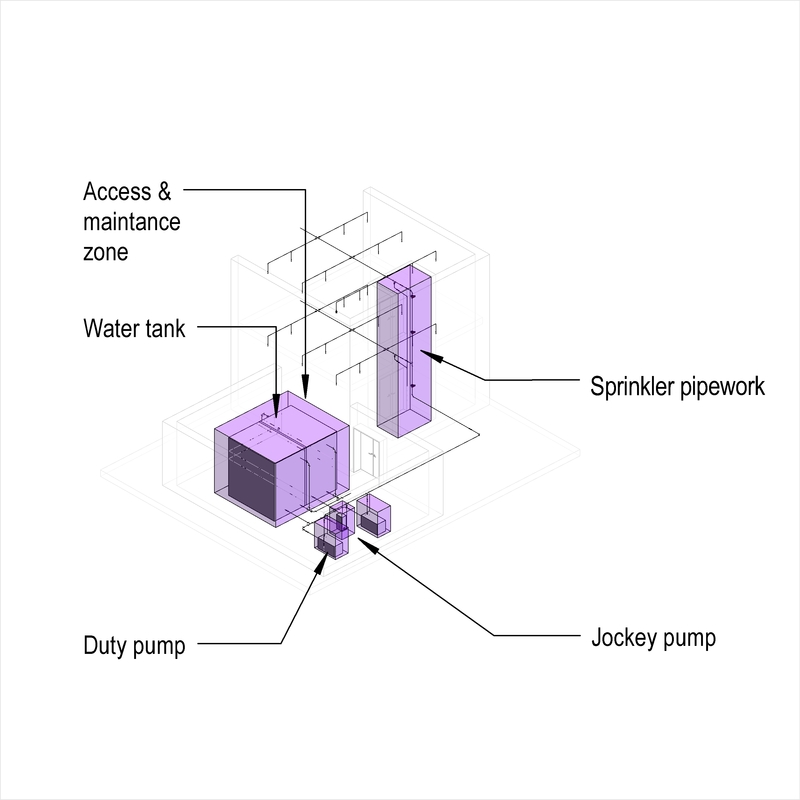 Water supply for commercial and industrial sprinkler systems Standard, Reliability and Quality. 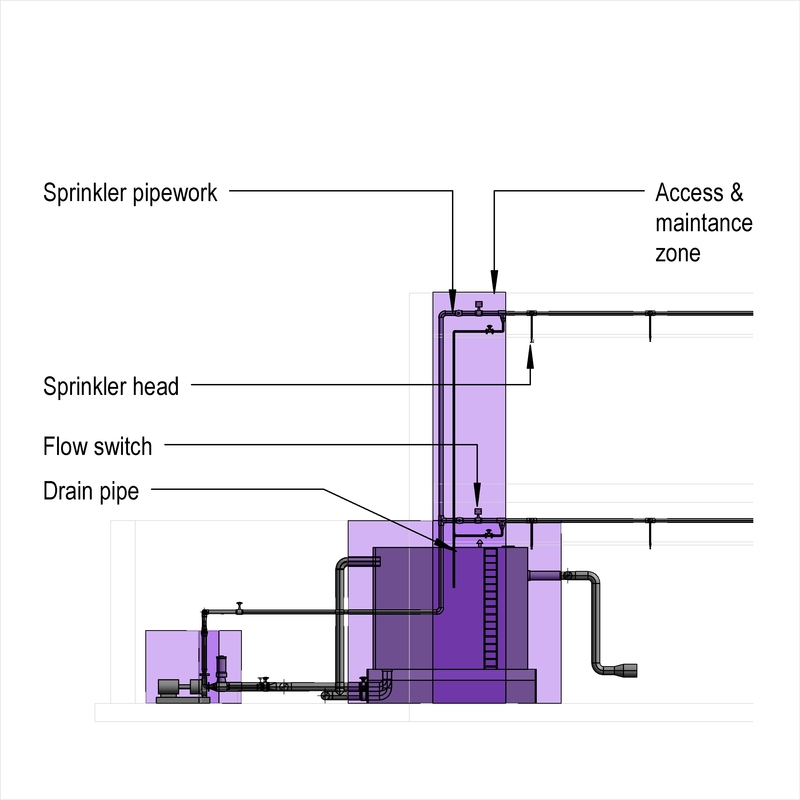 Extent of sprinkler protection Areas to be protected. 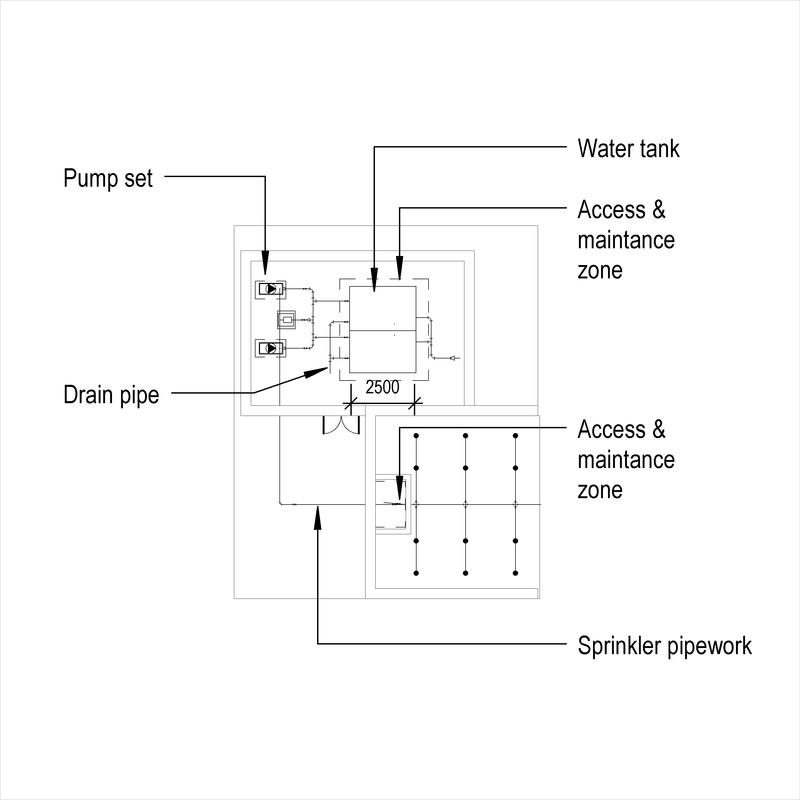 Pipeline sizes for sprinkler systems Sizing and Method. Tanks for commercial and industrial sprinkler systems Approval, Storage tanks and Pressure tanks. Electrical resistance trace heating system design Standard, Application and Environmental conditions. Integration with fire alarm systems Link from sprinkler system to fire alarm system and Link from fire alarm system to sprinkler system. Interaction with smoke and heat exhaust ventilation systems Standard. 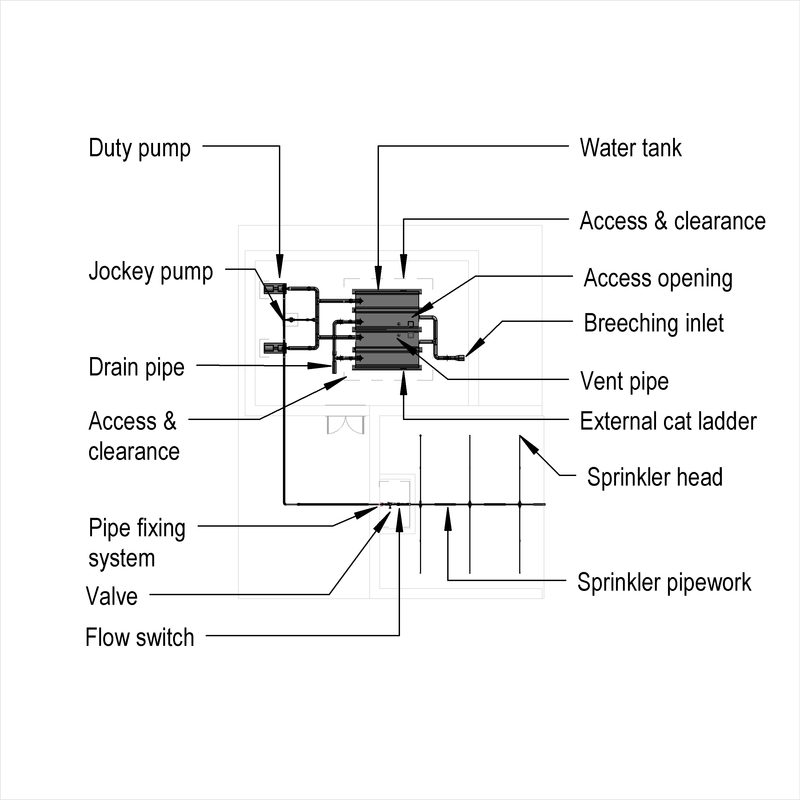 Cable selection Standard and Sprinkler pumps. Source The Source of the Sprinkler systems. Tanks Products such as Cylindrical tanks. Pumps Products such as Pressure booster pumps. Pipelines - Distribution below ground Products such as Ductile iron pipes and fittings. Pipelines - Distribution above ground Products such as Copper pipelines. Outlets Products such as Sprinkler heads. Valves - Control valve set The Valves - Control valve set of the Sprinkler systems. Valves - Stop valves Products such as Gas butterfly valves. Valves - Ring main valves Products such as Gas butterfly valves. Valves - Drain valves Products such as Draining taps. Valves - Test valves Products such as Ball valves. System accessories Products such as Fire fighting alarm devices.